Scripture tells us that the FEAR of the Lord is a fountain of life, the beginning of wisdom and the key to God’s treasure. But what exactly does it mean to “fear the Lord?” It all begins by having the right view of who God is. If asked to describe God would you say He’s like a fun loving grandpa who just wants you to be happy or do you see Him as a roaring lion ready to take down his enemies with a single blow in order to protect those He calls His own. The Bible uses only one of these metaphors to describe God. When you have the right view of God you understand that He is not safe but He is good. All this month we’ll be looking at the life of David as we learn about what it means to fear the Lord. In 1 Samuel 17 we see David facing his first test in the form of a 9 foot tall giant named Goliath. Goliath had no fear of the Lord and openly mocked God and the Israelites. King Saul and the Israelite army were terrified of the Philistines because they had forgotten who God was and that He was on their side. David, however, knew who God was: the creator of the universe, the God of his fathers, his protector and strength. He trusted the Lord when he was a shepherd fighting off lions and bears to protect his sheep. He now faced a new enemy poised to attack God’s people and David did what he learned to do as a shepherd. David feared the Lord and relied on God’s strength to defeat his enemies. How did Goliath, Saul and David view God differently? What was not safe about David’s situation even though he was following God? How did God show He was still good? What characteristics of God remind you of His power? Which ones remind you of His goodness? C. S. Lewis does a beautiful job of explaining how God is not safe but good in his series the Chronicles of Narnia through the character of Aslan. Plan a family movie night and watch The Lion, the Witch and the Wardrobe. Talk about how you see the Gospel illustrated throughout the film. Better yet, get a copy of the book and read it with your kids. Find things around your house that have a good purpose but can be unsafe. (Examples: knives, cleaning fluids, electricity, medicine) How is each thing not safe? In what unsafe ways can it be used? How is each thing good? What is a good purpose/use of that thing? Many things in life aren’t safe but are good. This is the same with God. When you have the right view of God you can see how He can be good even when He is not safe. As we study the fear of God this month, it is important that we focus on the whole character of God. This thanksgiving season, take the time to focus on the attributes of God that you notice throughout the week and are grateful for. Find a calendar and daily write down one attribute of God you’re thankful for from now until Thanksgiving. As we learn more about HIM, we will be able to have the right view of God’s perfect justice, grace, and authority! Thank God for being good in all circumstances and mightier than any enemy you may face. Thank Him for His perfect justice, grace and authority. As Him to reveal more of Himself to you so you have a better view of who He truly is. 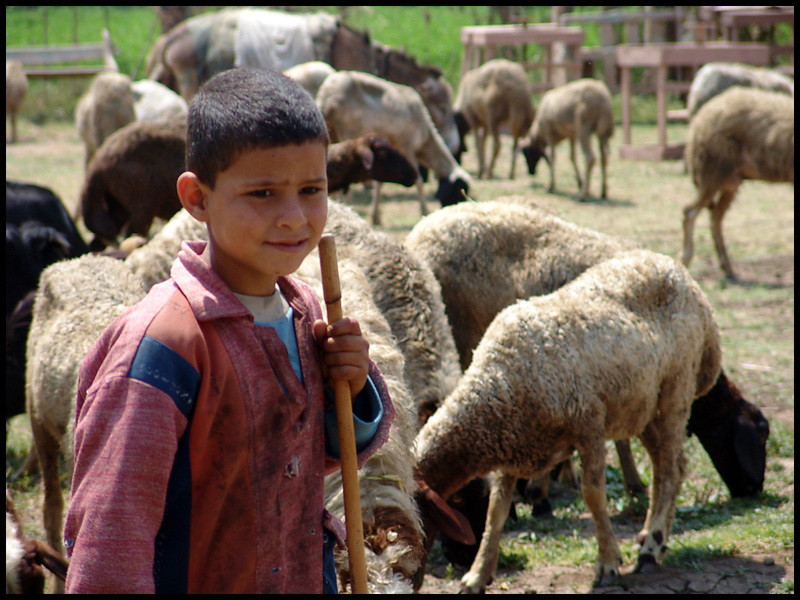 The post The life of a shepherd boy teaches kids what it means to fear the Lord appeared first on Watermark Community Church Blog.